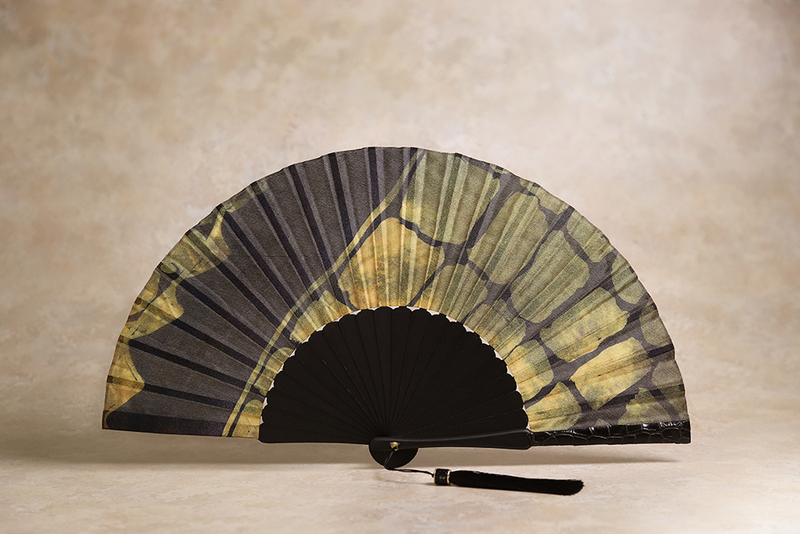 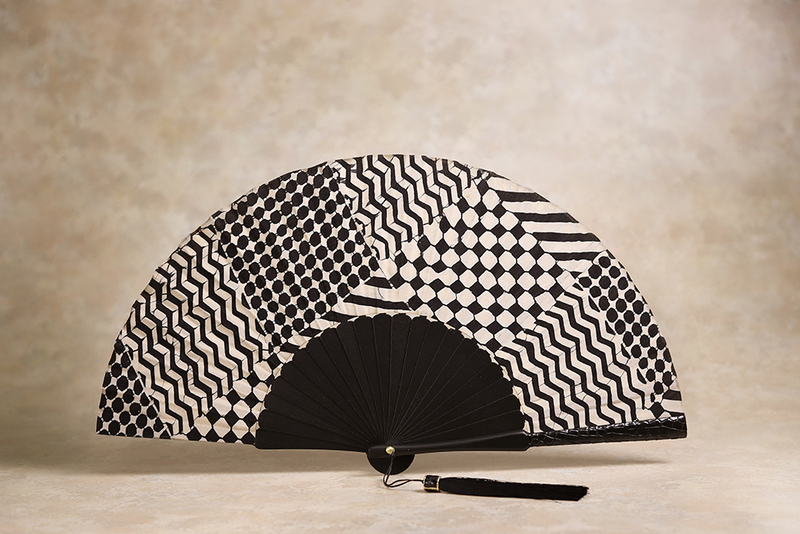 The di CROCO crocodile skin trimmed fans are one of the most practical accessories we have designed. 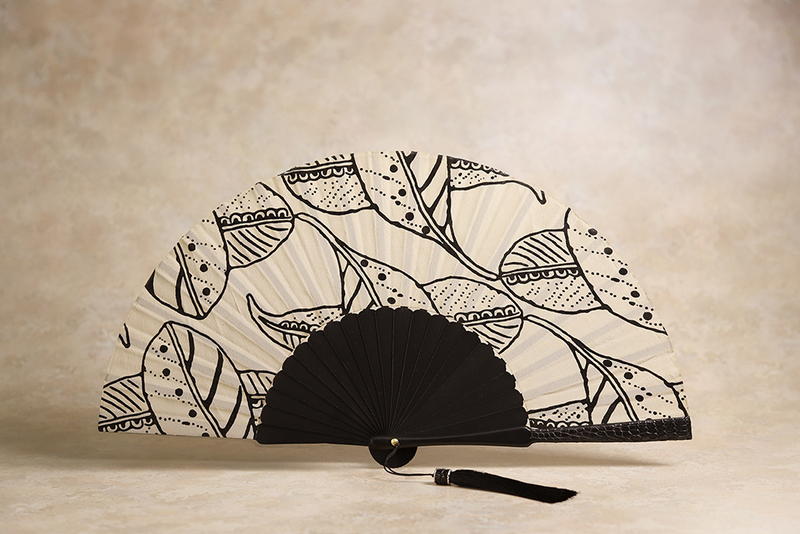 Perfectly elegant, the di CROCO fans showcase a selection of beautiful silk textile designs that are inspired by crocodile skin scale patterns or by the tropical environment of Northern Australia and our region. 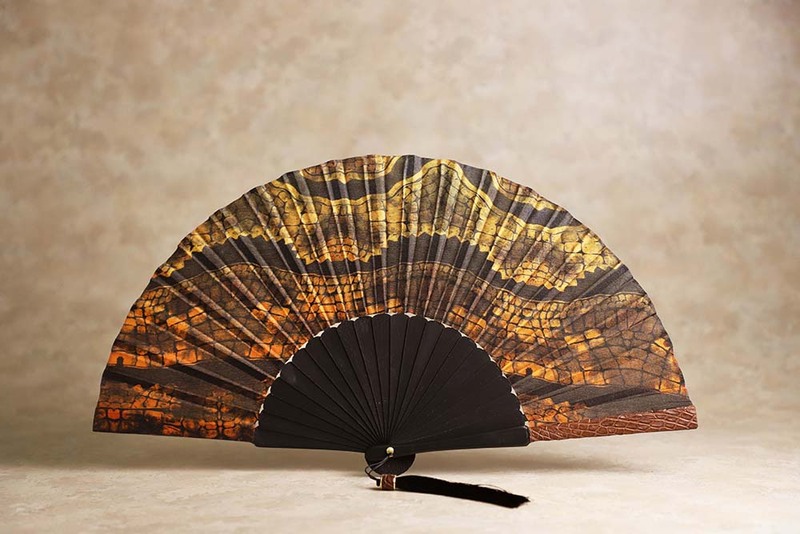 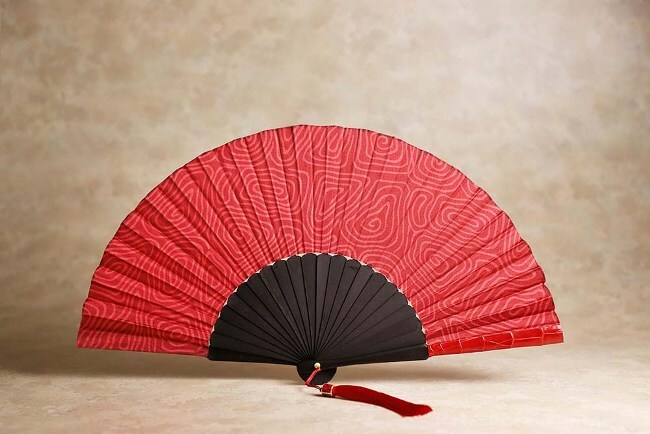 The unique crocodile skin trimming makes the fans a sought after gift. 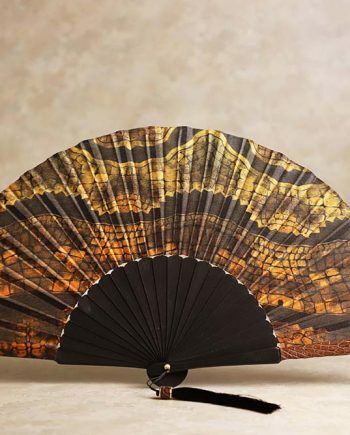 As with our Scarves, we have worked with talented designers and artisans to develop a unique collection that complements the di CROCO range of crocodile skin accessories in colour, design and quality.